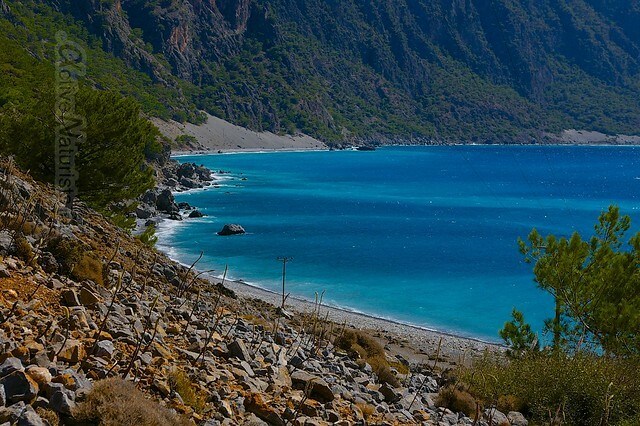 Samaria Gorge and beach at Agia Roumeli provide a perfect combo of adventure and secluded relaxation. 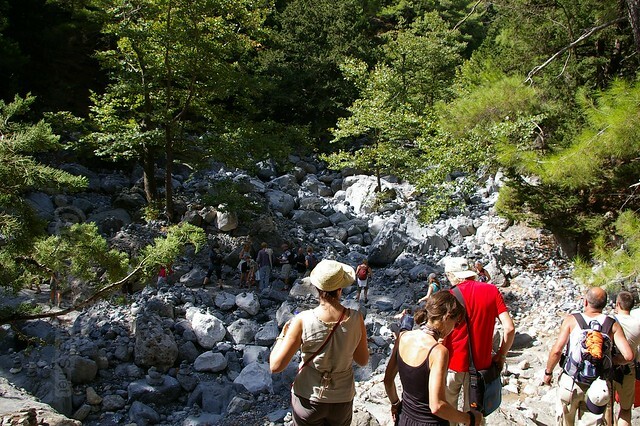 Samaria is the longest gorge in Europe, 12.4km, so be prepared to walk for several hours. The good news is that you don’t need to carry water with you (maybe just keep half a liter with you), as there are springs at regular distances. It is a very popular national reserve with regular buses departing from Hania and other towns of Crete. It is better to ask in advance if the gorge is open on the day you want to go there, because it may be closed under some weather conditions. First, you will descend by very well organized hiking trail with magnificent views over the gorge and mountains around. 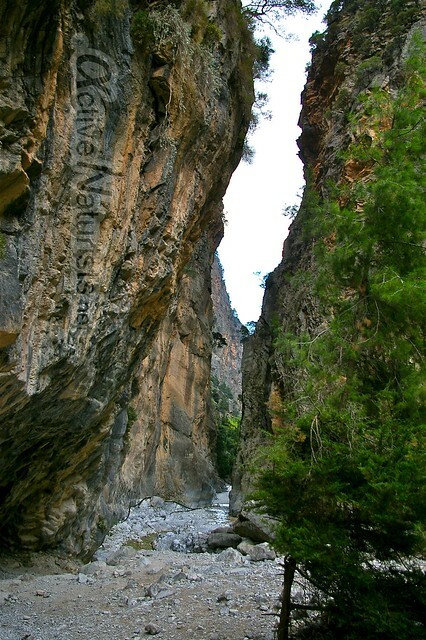 The second part of the route lies in the river bed (during summer Samaria River comes to the surface only in some parts) between vertical rock walls up to 300m high. That is especially impressive in several points where the cliffs from both sides get really close to each other, just few meters apart! It can be dangerous as the signs say, and we heard once quite a terrifying noise of falling rocks somewhere aside. During the first half of our walk, the trail was often overcrowded with tens, if not hundreds, of people literally rushing one by one. Later we realized why they were in such a hurry: the ferries from Agia Roumeli, a village in the end of the gorge, leave to Hora Sfakion and Paleochora at about 16:30. This is why almost all hikers try to walk the whole way in about 6 hours. Luckily we were going to camp in the end, so we spent almost 10 hours in the gorge and could enjoy all astonishing views. So, during last 3 hours of our walk, after these settlements, our only encounters were feral goats and kri-kri, Cretan subspecies of wild goats, endemic to the island. After eating in a tavern in Agia Roumeli, we went to look for a camping place. 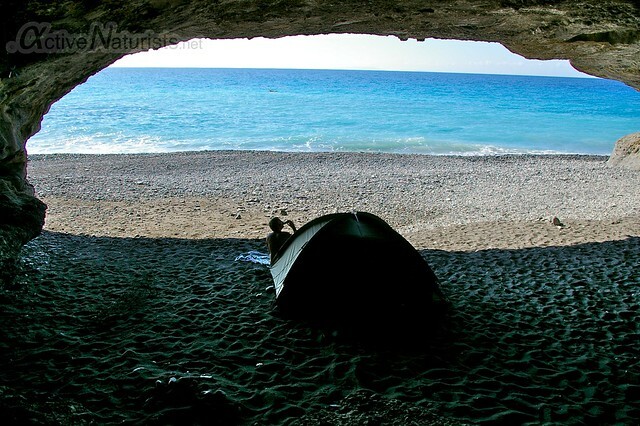 A small pinery just left of the isthmus of the Samaria River was already occupied by half a dozen campers, so we continued looking for a place for our tent further on the beach in the dark… and we found it! An entire cave had been waiting for us exclusively 🙂 What was especially pleasing was that the floor in the cave was of fine dry soft sand, whereas the beach itself was mainly covered by pebbles, many of tennis ball size, very inconvenient to walk on. The cave had accumulated the warmth of the day, so not only did we not need to go inside our tent, we even did not need to cover! Watching the starry sky from the cave felt like in a cinema. The only problem was that the noise of waves echoed in the cave and thus doubled, so don’t expect quiet, but the sound of sea is your thing, you’ll be happy. In the late morning next day, a few people came to the beach, but the cave remained pretty much our own. Further to the east lies another beach Agios Pavlos with an old church from Byzantine times, but unfortunately we did not have time to go there – it’s good to keep something for the next time, we thought. Right next to the cave, there were some interesting rock formations. While swimming around, we found some rocks offshore with sort of bathtubs on them. 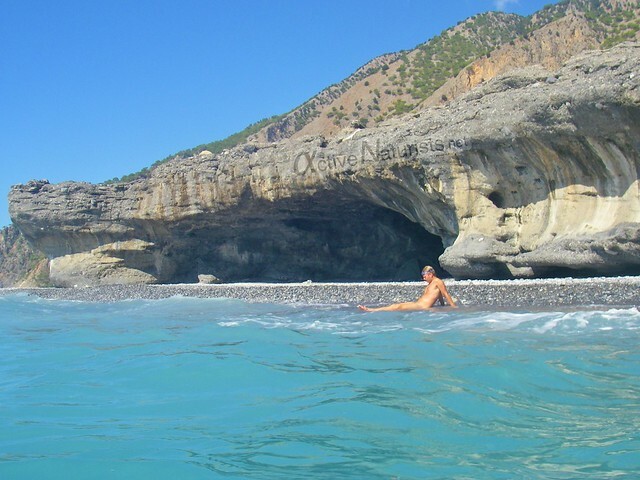 How cool, after a bathtub, you can dive into the sea! And getting back to our cave I couldn’t resist imagining myself as a caveman. Hopefully this place will remain as beautiful and unspoiled as we found it! Previous postAnidri/ Giliaskari Beaches east of Paleochora (South-West Crete). 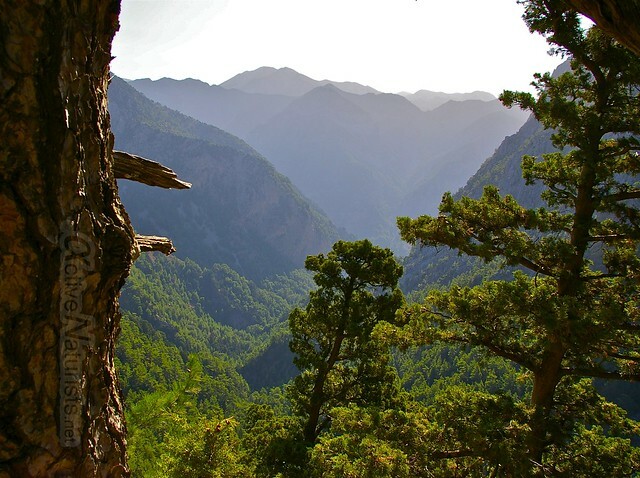 Samaria Gorge, locally known as the Faranges, initiates at Xyloskalo on the Omalos Plateau. From the core of white mountains to pure seashore of Libyan sea, one of spectacular views is Mount Gingilos with valley beneath. It finally leads to the bliss of natures in form of dense greenery, flows of water, soaring winds.